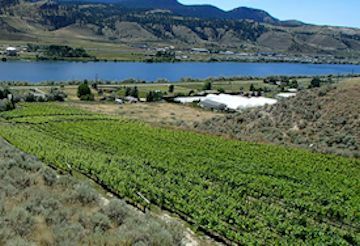 The recently announced Thompson Valley wine region – a new BC appellation – is home to 107 acres of vines. Nestled amongst the natural beauty of the North and South Thompson Rivers in and around Kamloops, BC. 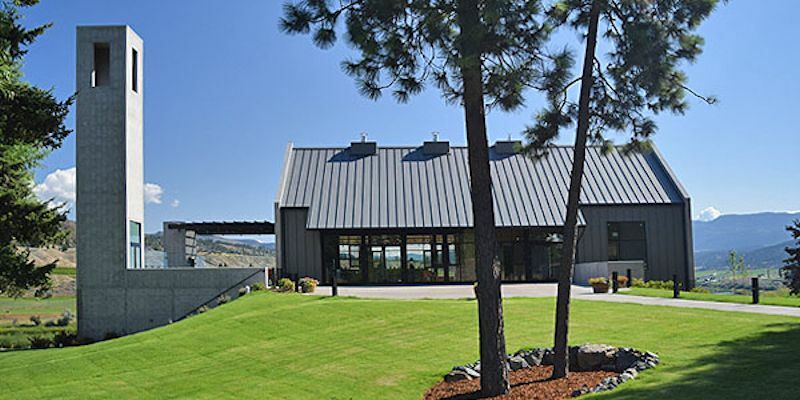 Harper's Trail was the first winery to open in 2012. 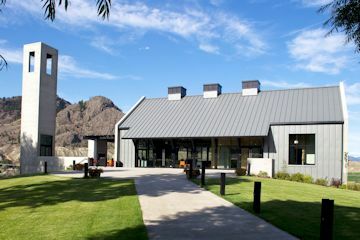 We are pleased to introduce you to Harper's Trail Estate Winery, the first winery to open in Kamloops with wines made from 100% Kamloops grown grapes. Thousands of years ago, when the South Thompson River ran a different course, the land that now holds the Thadd Springs Vineyard was the nomadic riverside home to 30 bands of Secwepemc (or Shuswap people) whose people camped along the river. Fast forward to what in contrast are more recent times, and the rolling hills that now proudly host vinifera vines were once echoing with the sound of hoofs and braying cattle. Renowned BC pioneer and rancher Thaddeus Harper used the grounds as a camp and staging area, as cattle were driven from the US to the Chilcotin to Harper's Gang Ranch. Today, the 24-acre vineyard is a presentation for the Thompson Valley, demonstrating what is possible for wine growing in BC. 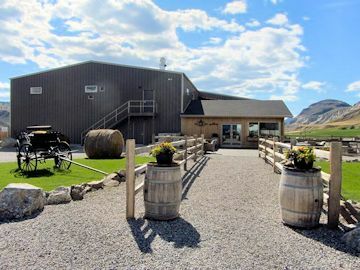 With careful attention to the land, the Colletts are committed to showing the world that Kamloops can become known as a place in BC known for crafting fresh, fruit-driven, quality wines. 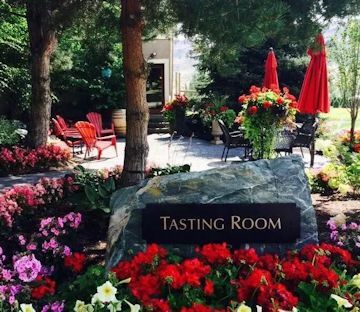 Tasting Room Hours change with the season . There is a very nice patio suggestible for picnic lunches. They are pet friendly. The Monte Creek and Lion’s Head vineyards primarily grow five Minnesota hybrids plus Maréchal Foch, a French hybrid. If the winery chooses to release the wines under varietal names, look for reds called Frontenac and Marquette, a rosé variety called Frontenac Gris and whites called Frontenac Blanc and La Crescent. 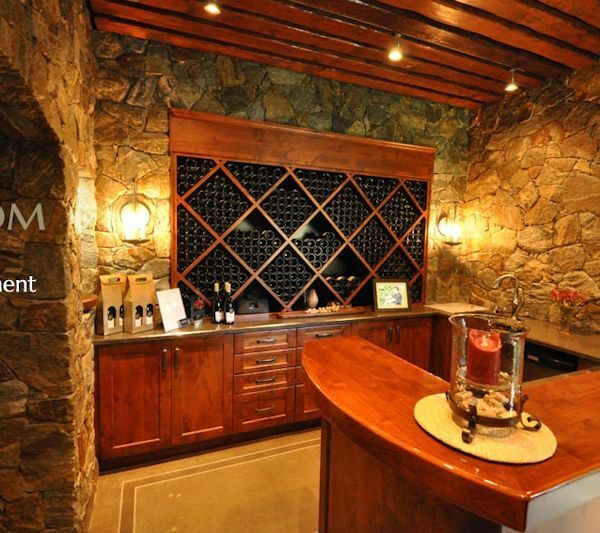 Proprietor John Woodward began his career in the forest industry after graduating from UBC with a degree in science. Now a Registered Professional Forester, it wasn't until the late 1980's when John left the forest industry and began farming primarily in the landscape and Christmas tree industry for more than 25 years. John's seasoned attention to detail naturally progressed to viticulture practices and wine making.